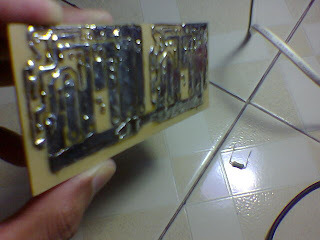 My DIY pcb made with Laser printer. 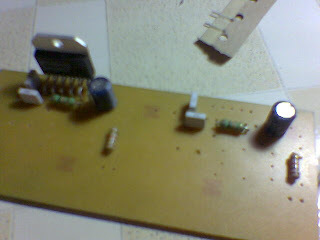 Install Part R ,C And Lm3886t Chip. Install R,C and Lm3886t Chip.